For me, the most difficult question isn&apos;t how to use a product, but when to find the time to use it. I&apos;ve mentioned this before, but I&apos;ve gotten into the routine of washing my face immediately after I put Sloan down for the night, since I&apos;m way too tired once G and I have slowed down and eaten dinner. Once a week, after washing my face, I&apos;ll take twenty extra minutes to do a face mask or special skin treatment while G prepares dinner. 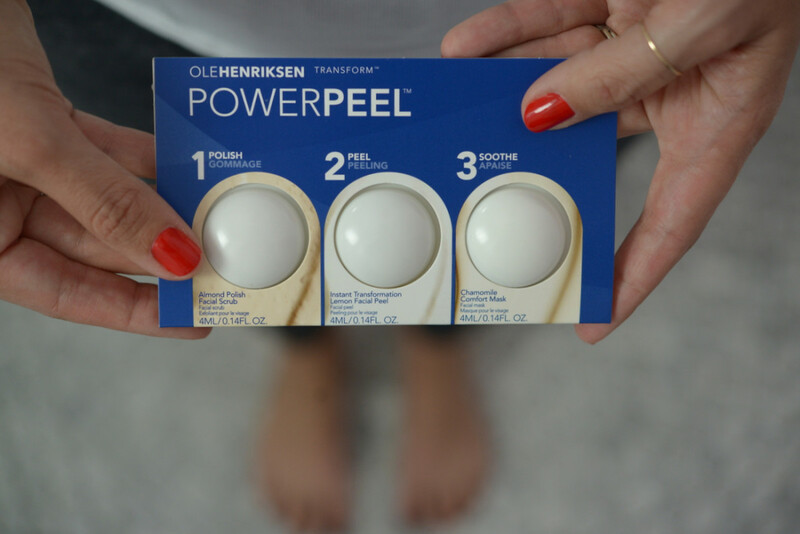 What I love about Power Peel is that it&apos;s turned something that used to be scary to me into a luxurious evening. Now, I&apos;ll pour myself a glass of wine while I go through each of the three steps, then read a magazine or get into a hot bath with the mask on. 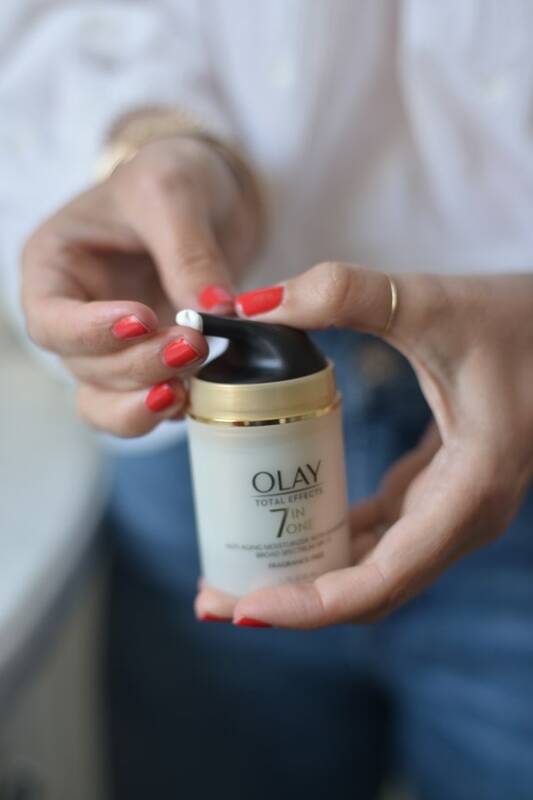 The purpose of the first step is to prep your face by scrubbing away dull, uneven skin. When I opened the package, I was immediately impressed by the rich almond smell—it smells like marzipan or something you could bake with. After splashing my face with water, I massaged in the grainy polish, in circular motions, buffing away dead skin cells. One of my least favorite things about masks is that they&apos;re often difficult to remove, but the Complexion Sponge made it easy to wipe this one off. Right away, I noticed that my face looked fresh and young. Since my skin is sensitive, sometimes it can look stripped and dry after exfoliation, but it already looked dewy at this stage. 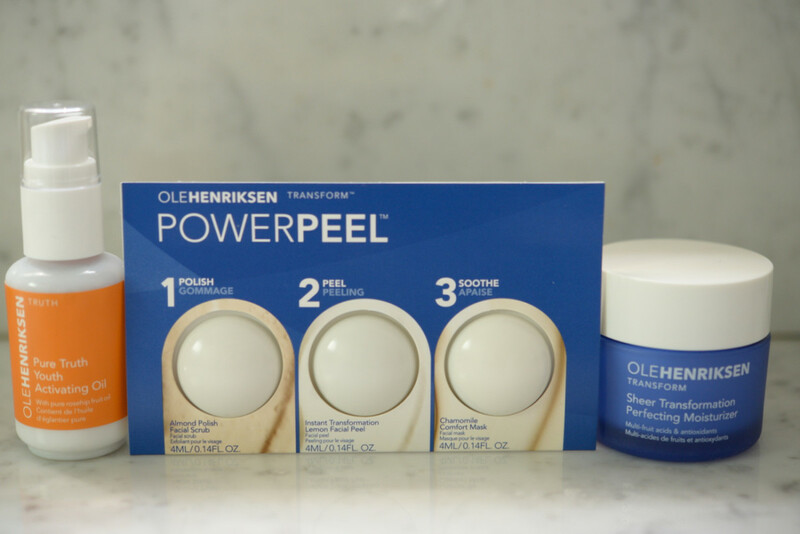 As a side note, I love that the Power Peel comes in pre-portioned pods, so I can throw one in my carry-on and use it if I find myself with an extra 30 minutes in my hotel on a work trip. 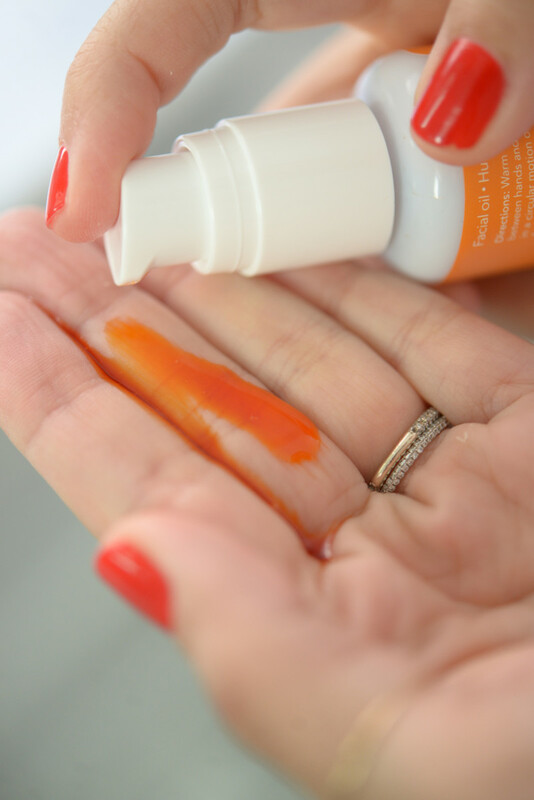 I&apos;ll be the first to admit that I felt a little nervous about this step, especially with a name like "Peel," but after testing the product on my forearm prior to using it, I felt confident enough to put it onto my face. Applying it to my toweled-off and exfoliated face, it felt slightly tingly, but not uncomfortable by any means while I waited the recommended two minutes for the lemon-scented gel to sink in. After two minutes, I applied the Chamomile Comfort Mask, which was my favorite part of the entire process. 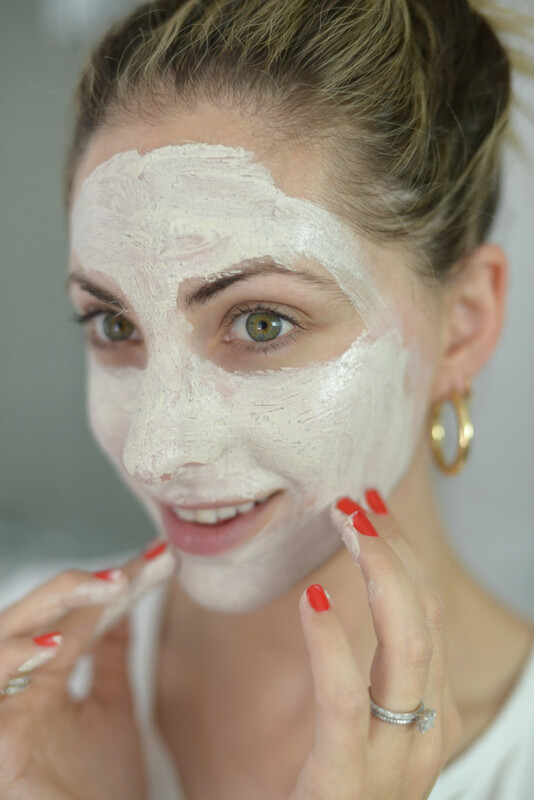 The mask goes on directly over the gel, and though the peel didn&apos;t hurt, it had an immediate refreshing and calming effect, similar to when you apply aloe to dry or tanned skin. Since it stayed on for ten to fifteen minutes, I used this opportunity to read a magazine on the bed with Luna, a luxury I always enjoy but rarely indulge in now that I have a toddler. I loved that the mask gave me the opportunity to relax (because there&apos;s little else you can do when you have a face mask on). I also appreciated that the mask never completely hardened, so it didn&apos;t feel tight or uncomfortable at any point. 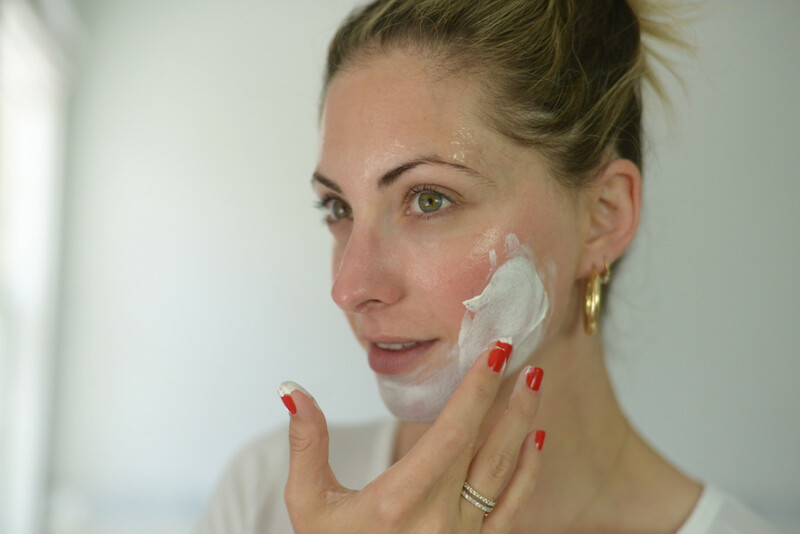 As soon as I removed the Chamomile Mask, I noticed that my skin looked dewy. The fine lines around my forehead had almost diminished and my pores were nearly invisible. Because I have particularly reactive, sensitive skin, it also looked a little red, so I applied an oil and moisturizer to rehydrate my face: OleHenriksen&apos;s Pure Truth Youth Activating Oil (which has a shockingly bright vermillion color that&apos;s quickly absorbed by skin) followed by the Sheer Transformation Perfecting Moisturizer. 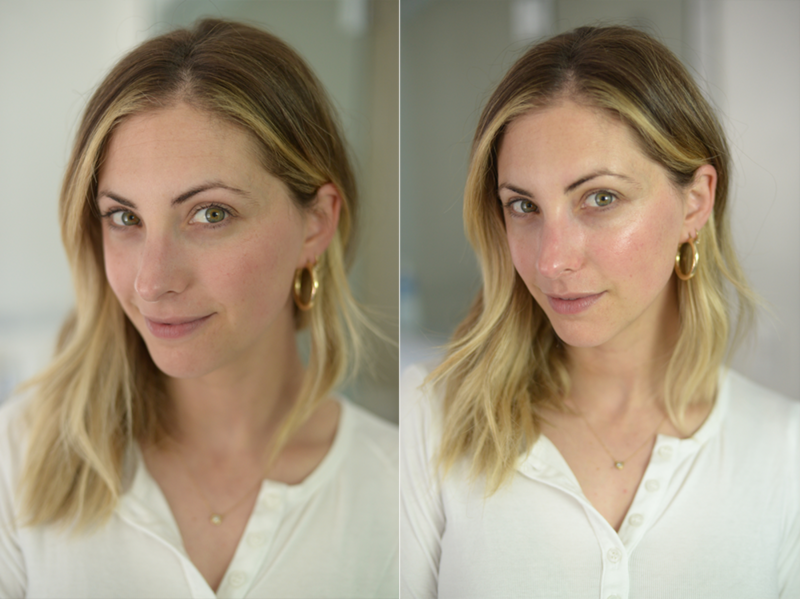 Paired with these products, the redness went away almost completely, and created a prepped base for bed or makeup. 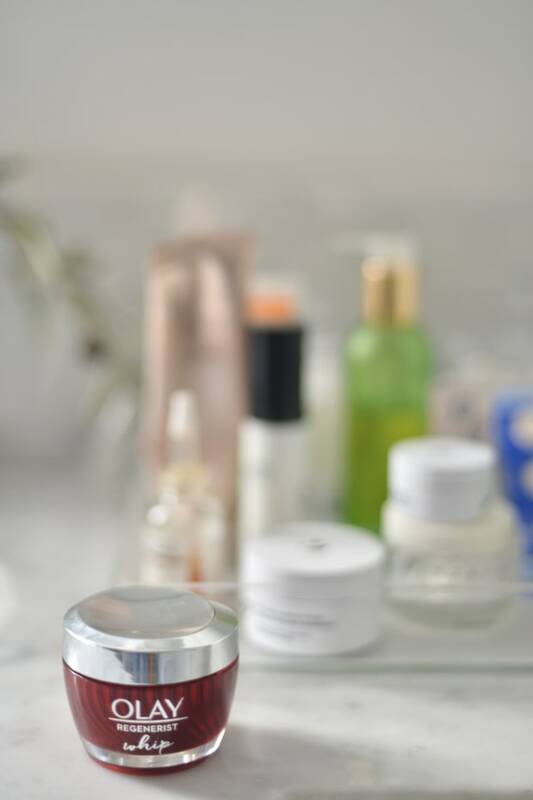 My Overall Takeaway: While I&apos;ve become increasingly interested in new skincare treatments as I enter my mid-thirties, I&apos;ve also realized that having beautiful, youthful skin doesn&apos;t necessarily mean putting it through aggressive and expensive microdermabrasion, peels, and lasers. 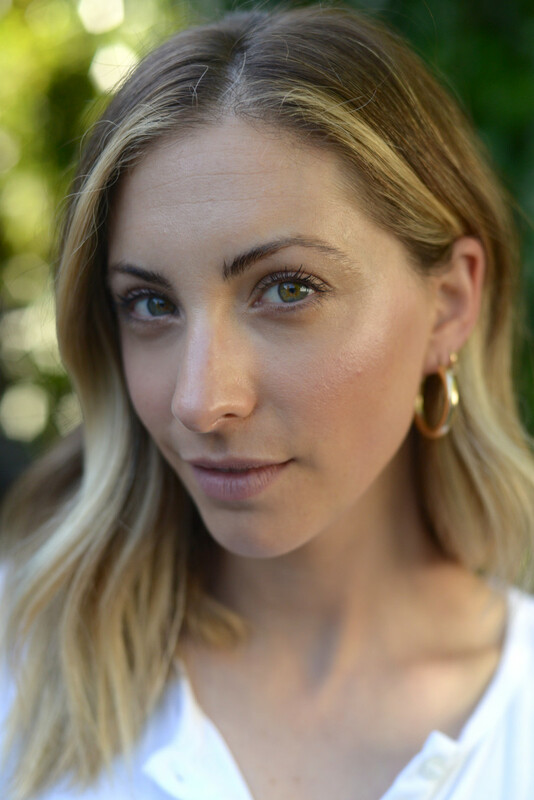 My skin looked noticeably more youthful and radiant after the first use (each pack comes with six Power Peel treatments) and stayed that way for days. Receive 20% off your entire order (including Power Peel!) here with code CUPCAKES.